What are the effects of pH in the aquarium? 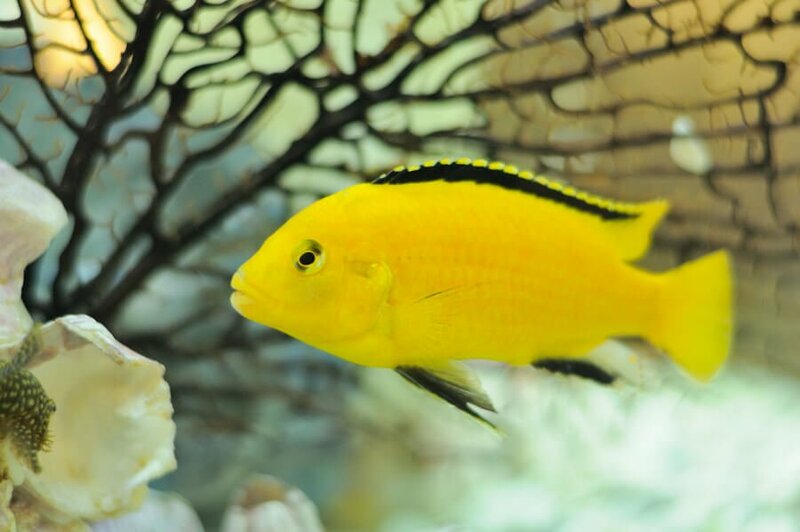 pH changes in the aquarium, even if small, can have serious health effects on your fish. 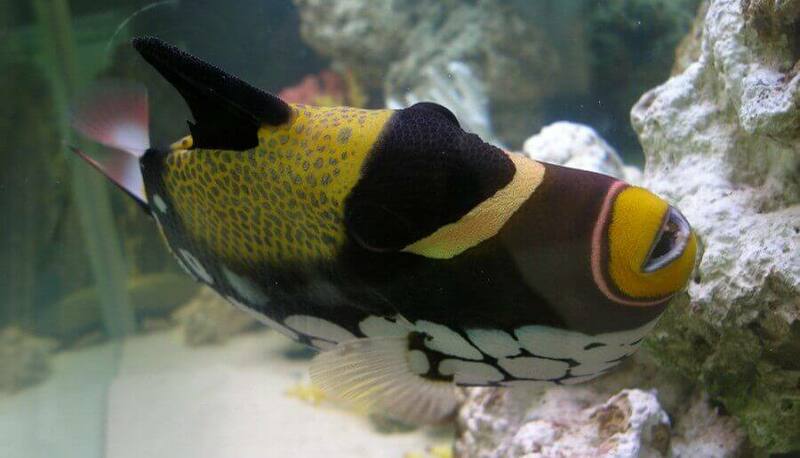 High alkaline, aka basic water, can affect your fishes’ gills. If your fish dart back and forth, check your pH, as this is a common symptom of high alkaline and may result in fish death. 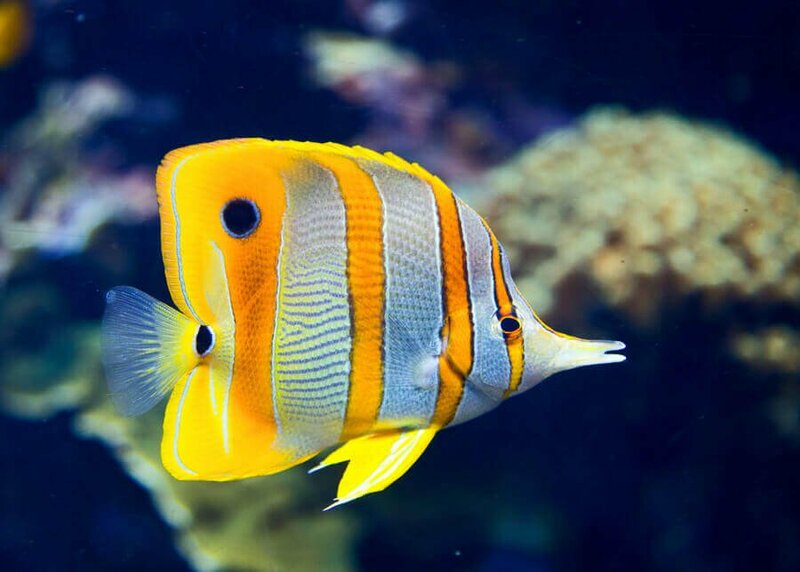 An acidic aquarium can result in the production of excess mucous by your fish. 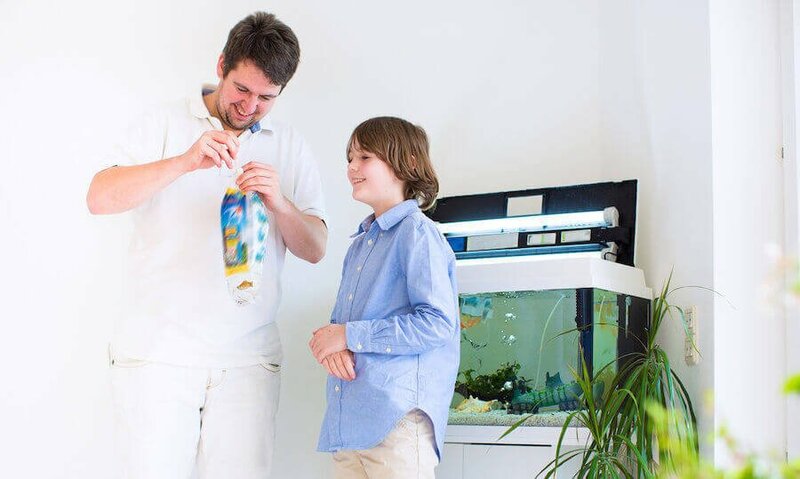 This is due to an increase of toxic elements promoted by acidic aquarium water. Other observable symptom include fish gasping, hyperplasia (thickening of skin and gills), and eye damage. As with high alkaline, fish death can occur. How do I adjust the pH in my Aquarium? 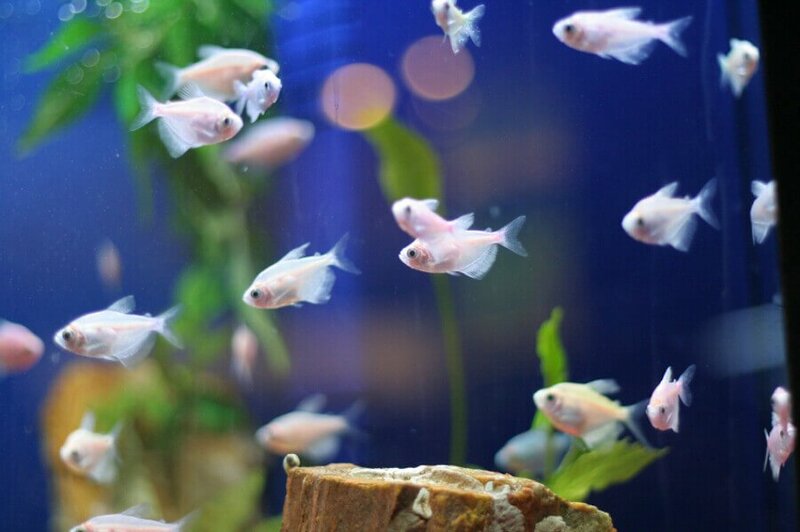 A common method of raising the aquarium’s pH is by adding baking soda. 1 teaspoon of baking soda per 5 gallons is generally considered a safe amount for small incremental increases. It’s best to remove the fish from the tank prior to raising the pH. Then simply dissolve the required amount of baking soda in some conditioned water and add it to the aquarium. Once the pH is at the desired level you can re-introduce the fish just like you would when you first brought them home from the store. You should never make sudden and large pH changes, as this will have a severe effect on your fish. Start with 1 teaspoon per 5 gallons of water and slowly raise the pH incrementally. This will allow your fish to acclimate to the new tank conditions. Using peat moss is a common way to lower the aquarium’s pH. Simply put the peat moss into a mesh bag and add it to the filter. Peat moss will gradually lower the pH. With peat moss, it is likely however that your water will temporarily discolor. It should clear up over time and you can also use activated carbon to help it along. What influences the pH in the aquarium? Stability is the main factor, keep in mind that fish can adapt to a pH that is slightly off their preferred preference, it is the fluctuations that causes stress and fatalities. The pH will vary during the day, it should always be tested in the morning or evening. Always ensure that the test kit has not expired. I don’t understand why you’d remove the fish while raising the pH. Wouldn’t moving them from low pH water to high pH be effectively the same as raising the pH of the water they’re in? If anything I would expect raising the pH of the water they’re in to give them a better opportunity to acclimate. It does need clarification, it is not necessary if the pH is slightly off target, it would cause more harm than good. 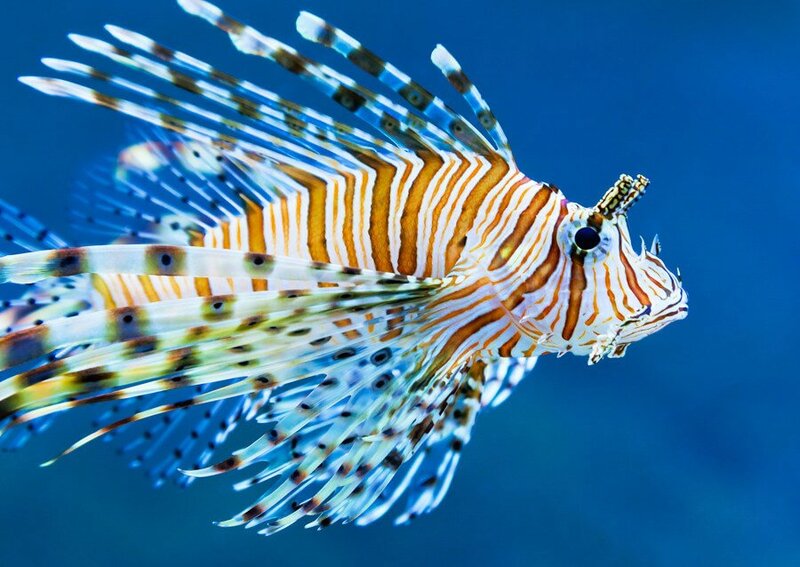 Nevertheless should the pH be way out of the acceptable range, it is advisable to move the fish into a more neutral environment to allow for a quick and more dramatic way to resolve the problem. Driftwood lowers the pH mainly be releasing tannins which soften water/ lower pH. Tannins can cause a brown/ yellowish discoloration. You can soak the driftwood in water, changing water daily, boil it, or replace it with a pre-treated version of driftwood. I recently just got a gold fish and I tried addying the baking soda to increase the PhD level how long will it take for my fish to stop gasping for air at the top? Was recently checking my fish tank for different substances to ensure that it was in healthy working order. When I got to pH however, I found it was alarmingly basic, possibly around 9-9.5!!! Anyone have some ideas on how to make the pH lower?? Thanks in advance! After making sure the test kit is in proper working condition and the fish grossly out of their comfort zone, check the list of pH influenzers above and try to eliminate the cause. Don’t forget to check your water source for pH and hardness (kH) as well. Ways to lower the pH is to use RO water, mix it with regular water until you reach the desired level. This will, over time, lower the pH. Time being time operative word, take time to adjust the pH as to not shock the fish. We have had our fish tank for about 3 months now. We have 10 gallon tank. Everything has been great. And now for the past 4 days the tank has looked cloudy so PetSmart told me to put water clarifier in it but it has not worked. So I tested the water and it says ph is 7.8 and alkaline and the total alkaline was moderate at 80. Last night I replaced 10% of the water when I cleaned it but still no luck. I have no idea what to do any suggestions? There is no direct relation between pH and cloudy aquarium water. You are either experiencing white cloudiness (bacteria bloom) or green cloudiness (algae bloom). 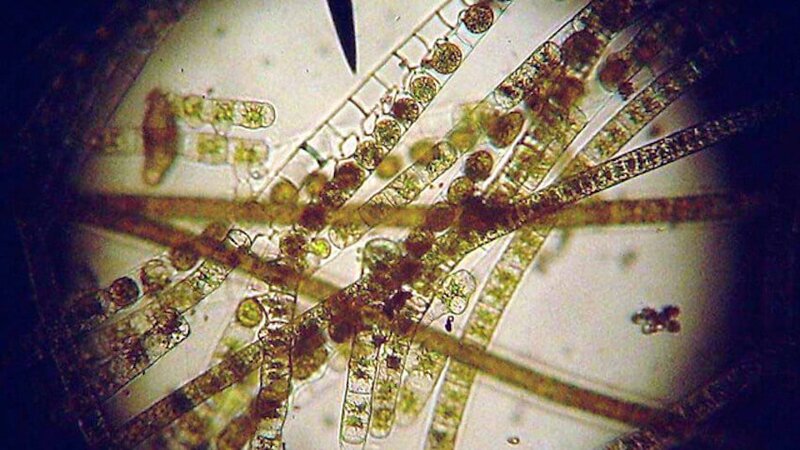 Either which is caused by excess waste in the water that the bacteria or algae feed off. Reduce feeding, increase oxygen (bacteria use up a lot) and make sure to keep up with maintenance. The pH is influenced by a number of factors, most of them are listed above. The main issue in your situation is likely a high carbonate hardness (kH) level. This is why most common pH adjuster do not work. You can lower kH by diluting the water with very pure water (ro water) or to change your water source. Check the kH on both the aquarium and your main water source. I have a 300 lt tropical tank full of fish and my ph has dropped causing the death of 3 fish in a week, what is the best way to naturally raise the ph without harming my fish. You can use baking soda or crushed coral. Baking soda is at 1 teaspoon for every 5 Gallons (~20 Ltr) On crushed coral, place one cup in a mesh bag so you can add or remove as needed to achieve and maintain the desired pH. Once you have to correct amount you can release the coral onto the substrate. Ok so i have a 55 gal tank that im planning on making into a plated cichlid tank. Currently there is crush argonite/oolite for the subrate i plan on using dirt and and peat moss as well. Is there any specific dirt that will help bring the pf down? Currently its at 8.6 but i would rather have it at 7.6-8.0 because of doing planted. 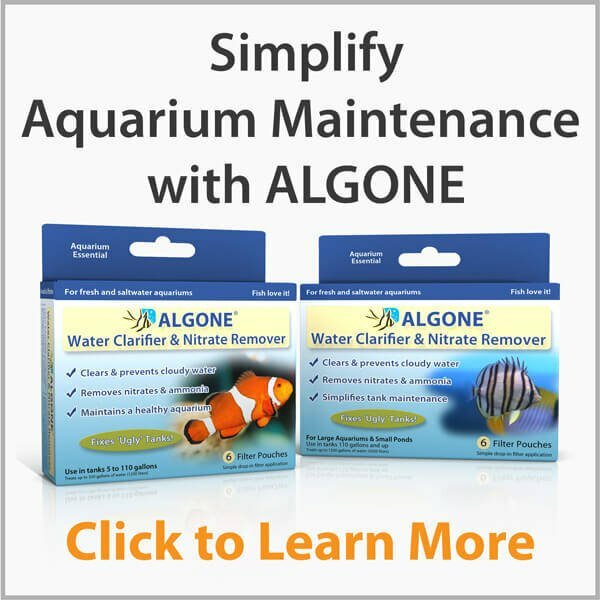 Aragonite is a crystal form of calcium carbonate and will keep your pH at higher levels. There are many varieties of plant substrates, but none will have big effects on pH, Peat moss nevertheless will lower the pH but might be hard to use as substrate. I have a 40 gallon tank set up for for Discus fish. I have a handful of plants, although they are fairly new to the tank. My PH appears to be in the 7.6 – 8.0 range. Any suggestions on how to safely lower it? Also, I see that RO water is good. Is distilled water the same as RO? After these steps, you can lower the pH by using purified water RO or Distilled, there is no real big difference besides the way the water is processed. It depends on what you consider low pH and high alkalinity. Some reasons why this could be is the use of buffers, in this case discontinue using buffers (pH up). The most likely issue is high levels of CO2. 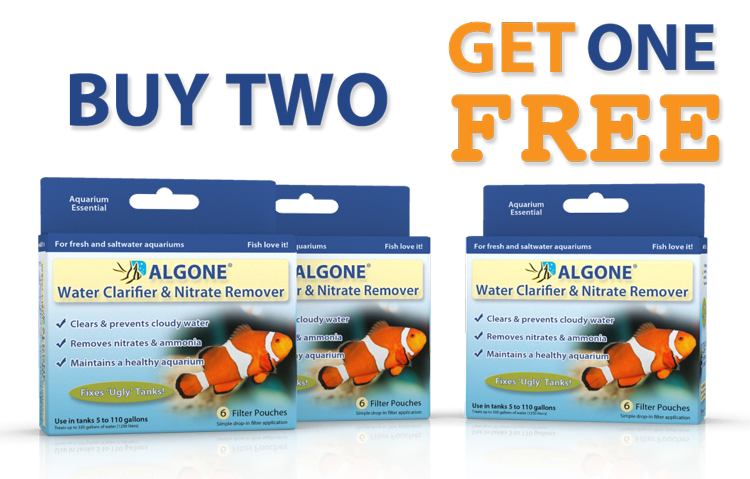 You can air out CO2 by heavily aerating the aquarium. You can also add some Kalkwasser which will break down the CO2 and raise the pH. In either case, your pH is where is should be, no need to mess with it. I just set up my 55 gal planted tank and am running CO2 at 1-2 bubbles/second. The pH is down near 6. Is adding baking soda the best way to raise it? CO2 lowers the pH, so make sure of the CO2 level. It might be too high, or sufficient with a lower injection rate. This could bring your pH back up. 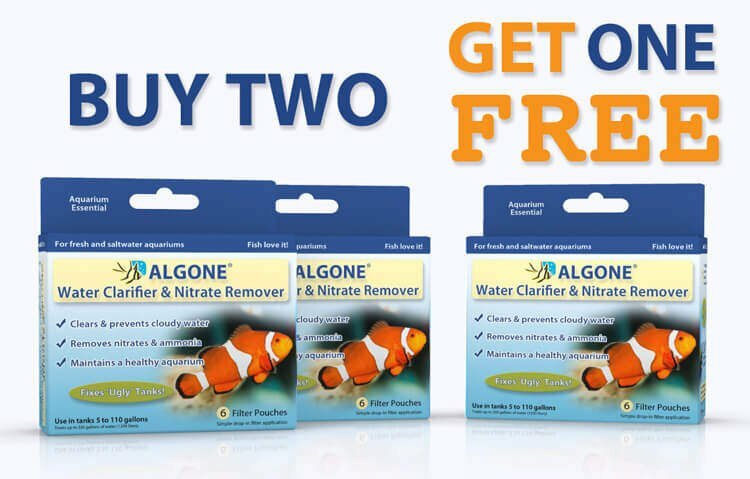 What you need to know is your pH and kH values, then head over to https://www.algone.com/live-aquarium-plant-essentials and check the table for the CO2 concentration. Baking soda is one method, the fastest for sure. Slower but longer lasting are aragonite or crushed corals/ sea shells. You have to check your alkalinity levels. If the alkalinity is good, it could be a temporary shift. Marine salt mixes should provide sufficient buffering, make sure salinity is correct. The ammonia reading? Has the tank just been set up? If so, give it some time for the water to find its balance. Once complete, you can make adjustments if needed. 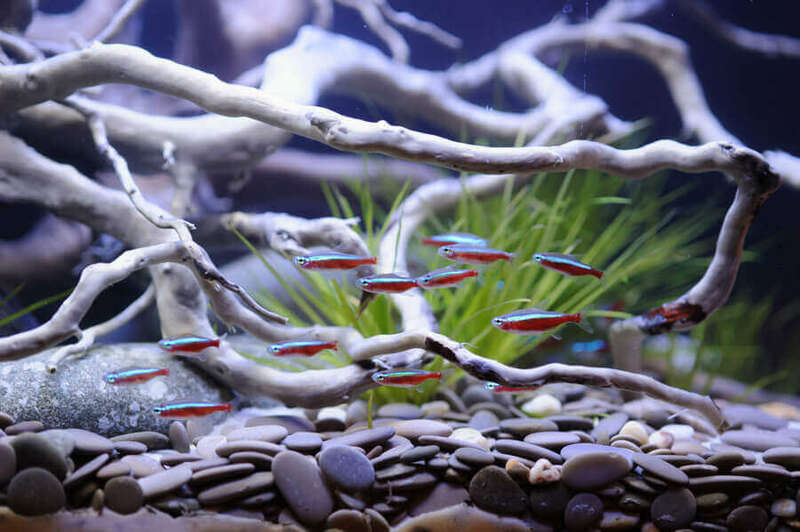 CO2 could be another factor, try to air out the water before adding it to the aquarium. 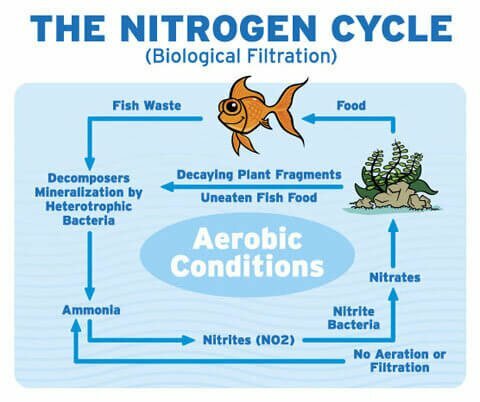 My alkalinity is nearly 0 and my ph is 6.6 my water hardness is 300 and I’m having trouble raising ph levels to a Good 7.8 for my freshwater chiclids what do I do? Alkalinity determines your pH. In order to increase pH the alkalinity needs to be raised as well. This can be done by adding crushed corals (1/2 tsp per 10 Gallons, or baking soda (1/2 tsp per 25 Gallons). Repeat after a few says until the kH reaches about 5 or the pH reaches closer to where you want it to be. I have a snail only tank. I added a “wondershell” to the tank (measured appropriately) and after testing the water notice the pH dropped from 7 to 6! The GH IS 180 and the KH is 0! Upon researching I found that the wonder shell adds minerals to the water and can show false readings. I am concerned bc one of my snails shells seems to be thinning, and nitrate levels are currently 80! Should I try to lower nitrates or raise pH? You need to increase the kH to maintain the pH. You can use baking soda 1/2 tsp per 25 Gallons increases the kH by approx 1 (varies) or add crushed corals which is longer lasting. The level in kH you want is around 5 but it depends on your overall setup and requirements. Two tsp of crushed corals will be a good start, and yes it is available at pet stores. The kH is what buffers the pH the higher the kH the more stability in pH. It will take a few days for you to see an increase in kH and a rise in pH, but this is a good thing. To ensure more stability you can use crushed coral or aragonite. A little goes far, 2 tsp for each 10 Gallons. Simply place it in a mesh bag, if the results are satisfying, you can release the content onto the substrate, or keep it in the filter, whatever works best for you.